As solar development expands across the Midwest, and the country, local governments are facing new challenges that go along with the significant opportunities and benefits of developing their solar resources. Stearns County in central Minnesota is a leading example for the nation of how local governments can engage their community in developing plans and regulations for harnessing their solar resource. The Great Plains Institute (GPI) worked with Stearns County to engage stakeholders and create transparent and predictable development regulations for solar farm development, including ensuring capture of pollinator habitat and storm water benefits. GPI recently completed a case study (available here) of Stearns County to share their process of engagement, and planning and regulatory review, to get the community ‘solar ready’. Stearns County is a central Minnesota County with a population of 150,000, most of which live in the eastern urban area in and around St. Cloud, northeast of the Minneapolis/Saint Paul metropolitan area. While the eastern side of the County is quite urban, most of the County is rural, and includes some of the most productive agricultural areas of the Midwest. An early leader in incorporating solar development into local plans and regulations, Stearns County is in a desirable location for solar farm development. Much of the eastern portion of the County is served by Xcel Energy, and has a mix of urban development in the St. Cloud metropolitan area and rural landscapes that can accommodate solar farm development, with transmission connections to the Minneapolis/Saint Paul metro region. Since its 2008 Comprehensive Plan development, the County recognized the value of renewable energy development as an economic opportunity. Stearns County developed the first solar farm ordinance in the Upper Midwest in 2010. More recently, the County had permitted a number of solar garden projects, but the continuing evolution of the solar garden market, changes in regulatory standards, and solar development controversy in nearby counties raised concerns that the County’s existing solar regulation needed to be re-evaluated. Some counties issued moratoriums on new solar development. Instead, Stearns County initiated a solar workgroup, composed of stakeholders representing a variety of perspectives, to consider and propose new county standards that addressed the evolving market and community concerns. The nine-person Solar Workgroup included County Board and Planning Commission members, agricultural representatives, solar developers, and landowners (one of whom lived next to a proposed solar farm) and focused on issues from zoning, permitting, stormwater management, development standards, and more. Among its recommendations, the Workgroup recommended that the County require all solar farms and gardens to meet Minnesota’s “beneficial habitat” standard, legislatively created in 2014, which defines how a solar development project can be certified as pollinator habitat. Stearns was the first local government in the Midwest, and one of the first in the nation, to ensure in its development regulation that solar development captures co-benefits such as perennial pollinator habitat and improved surface water quality through increased infiltration. Solar developers benefit by the County not counting solar collectors as impervious surface in the County’s ordinances. The stakeholder driven process, conducted outside the context of a specific development proposal, allowed measured evaluation and discussion of issues around solar development. The process emphasized the County’s adopted policy goals encouraging economic and environmental benefits of renewable energy, rather than trying to move forward (or block) a specific proposal. Moreover, conducting the discussion outside the regulatory process offered the opportunity for frank discussion and consideration of alternatives that might be off the table in a specific development proposal. Stakeholders were able to explore how the County’s existing regulatory standards worked, and frequently discovered that existing standards were sufficient to address many of the concerns that had been raised about specific developments. GPI staff had worked with the County on its first solar farm ordinance in 2010, and was providing on-going technical assistance through the Midwest-based Grow Solar Partnership (a U.S.DOE-funded SunShot Rooftop Solar Challenge program). Stearns County asked GPI to provide additional assistance to facilitate the stakeholder process and update the solar farm zoning standards. 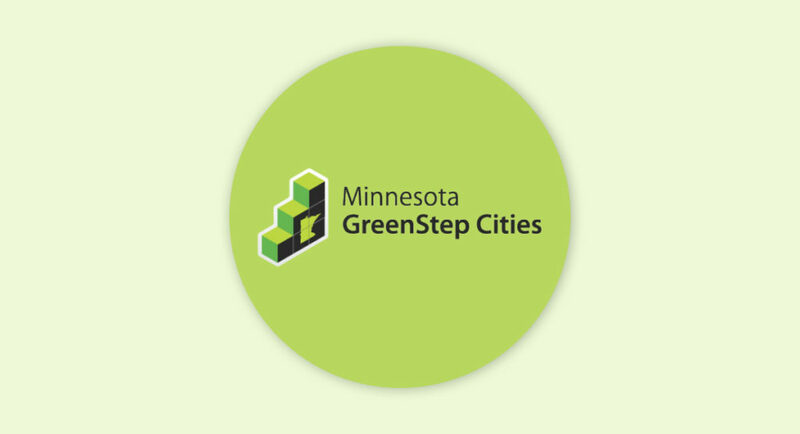 In recognition of Stearns County’s leadership, GPI helped the County apply to enter the national Solsmart program, which certifies local governments as “solar-ready” and provides direct technical assistance to cities, counties, and regional governments to capture solar development opportunities. 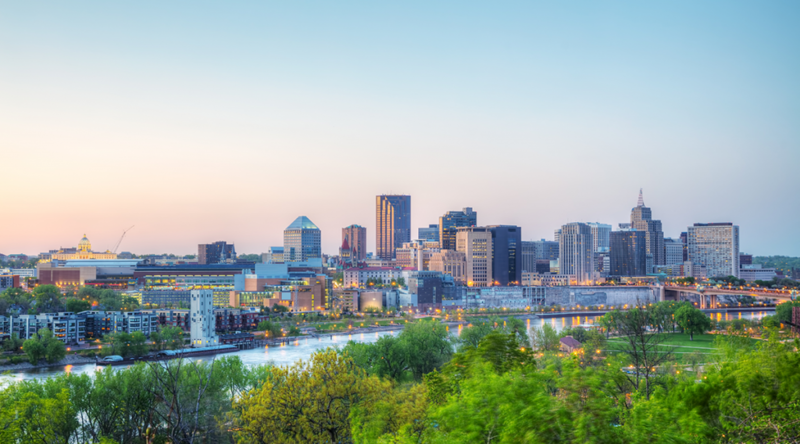 Leading cities and counties are designated at the Bronze, Silver, or Gold level (learn more about our work on the SolSmart program in this previous GPI blog post). The Stearns County process is a great example of how local governments play a critical role and are a necessary partner to reducing the non-hardware “soft costs” of solar development. Soft costs, the business process or administrative costs of market-driven solar development, can increase the time and expense of installing a solar energy system – costs which are passed on to solar customers and limit solar market potential. Stearns County made a unique decision to require pollinator habitat in the solar farm ordinance. The co-benefits of this policy include water filtration and management, and supporting pollinators that are integral to the ecosystem that supports Stearns County’s agricultural economy. 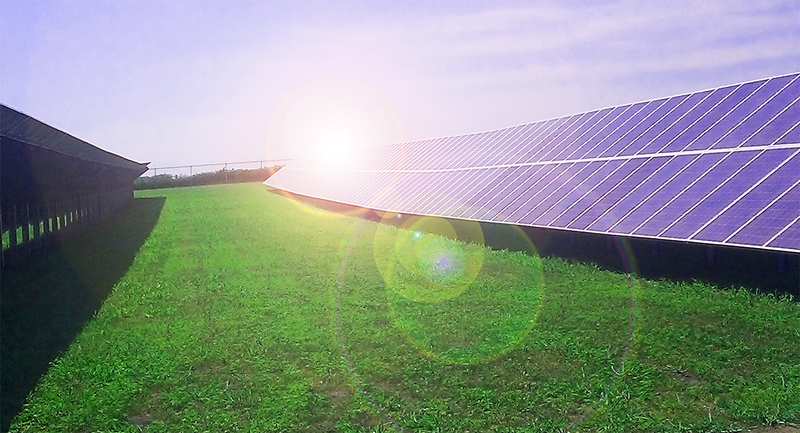 The County has over 60 megawatts (MWs) of solar farm and garden development, one of the most solar counties in the Midwest. As solar development continues to increase in Stearns County, so will the amount of beneficial habitat. Stearns County is continuing its commitment to increasing solar development by being part of the SolSmart program. 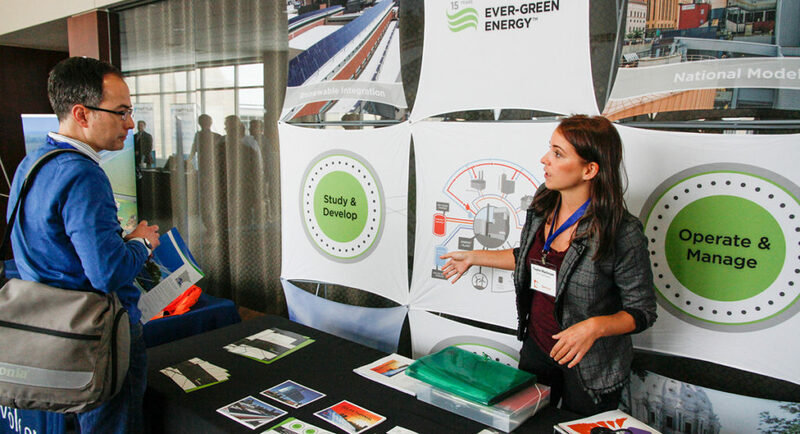 SolSmart is a national technical assistance program funded by the U.S. Department of Energy SunShot Initiative. Communities submit a letter of intention, or “solar statement” to join, then they complete a set of solar best practices to receive recognition at a bronze, silver, or gold level. Stearns County is well on its way to becoming recognized at the silver level; less than ten counties in the nation have currently earned this designation.